At Guenther Electric we operate in three primary areas, industrial and commercial electrical services along with data/ communications. We have been in business since 1978 and continue to expand our capabilities in the areas we operate. We employ master electricians, are ASHE certified for health care facilities and have completed several large build projects in the past two years. 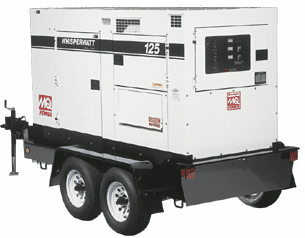 emergency or backup power to your facility. We help our customers determine the equipment needed and perform the installation ourselves. There's no need to call multiple contractors and equipment companies, one call and we will handle the rest. We supply a modern fleet of power generation units, distribution equipment, transformers and accessories for a complete installation. We can provide these ﻿services﻿ ﻿24/7 ﻿and utilize our own team for the installation. If you need temporary power or are having issues with your existing generator feel free to give us a call.